Colors for Spring in soft pastel colors. 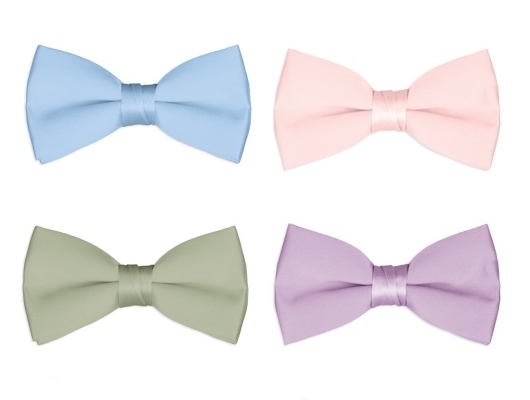 This set of 4 bow ties in lt blue, lilac, sage and pink is a foundation for warm weather boys dresswear. Deeply discounted from individual bow tie price when purchased as a set. Poly-satin bow tie with a wrap around band and hook closure. 3.5 in x 1 in fits most ages of 2 and 8.